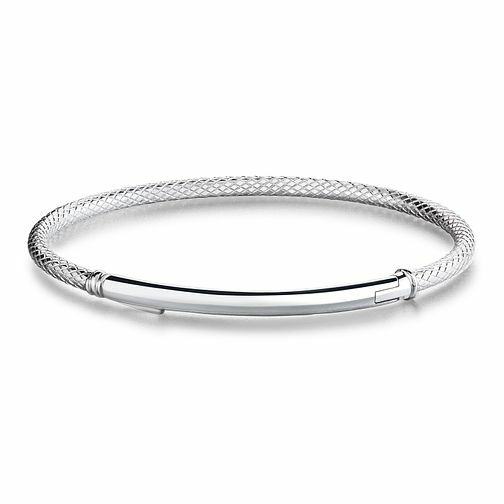 This delicate Chamilia bar bracelet is crafted in bright finished sterling silver and features textured detailing for a contemporary finish. The perfect first step towards creating your Chamilia collection. Discover all the ways to express yourself with one of a kind jewellery that reflects your life and experience. Size Small.